JC: Where do you work? How does environmental history contribute to your job? 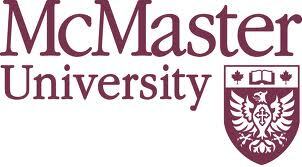 ME: I’m an associate professor in the History Department at McMaster University. My position was originally created to develop a curriculum in the history of science and technology, but I have managed to integrate undergraduate courses in the history of environmental sustainability. McMaster is also developing a real graduate strength in environmental history; I offer a graduate seminar in global environmental history, and have worked with some tremendously talented graduate students in this field. Further afield, I am an active member of the American Society for Environmental History. I am currently the chair of the Society’s Sustainability Committee, and have been a longtime presenter at the annual meeting. With friends and colleagues from ASEH, I started theSustainable Future History Project in 2008; the Project is a loose cabal of early-career scholars committed to making environmental history more relevant to contemporary debates about the environment, resting on the premise that in order to fully understand the social, political, economic, and ecological context of contemporary environmental problems we need to be conscious of their historical contexts. Resolving local and global environmental quandaries requires careful thought and planning; future success depends upon a deeper appreciation of the past. Historicizing sustainable and unsustainable futures is based less on the notion that we should learn from past mistakes, but rather on the premise that solving the environmental crisis will demand the most and best information available, and history provides valuable insight into the creation and proliferation of the environmental ills we hope to curb. In 2010, the Sustainable Future History Project inaugurated a new book series with the MIT Press, “History for a Sustainable Future.” The series will publish peer-reviewed works designed primarily for the undergraduate classroom and a popular audience, though they should also be useful for scholars in the field. Accessible writing and clarity of purpose will serve as the cornerstone for titles under consideration. Books will be limited to 50,000 words (including notes) and firmly grounded in original, primary research. JC: What is your current research project? ME: I’m working on a global history of mercury pollution in the twentieth century. My project is, fundamentally, a global or transnational (I’m still playing with these variants) history of environmental toxicology since World War II, using mercury as its lens. However, I engage not only with the accumulation of scientific knowledge but also with the social and political application of that knowledge in the form of environmental policymaking. Drawing primarily from scientific journals and conference proceedings and governmental documents and reports, I’m investigating the role of scientific knowledge in national and international environmental policy. I’m particularly interested in the struggle for epistemic clarity in and between knowledge creation and policy making—how it worked (when and where), how/why it didn’t, and the difficulties inherent in communicating scientific knowledge. The challenges inherent in understanding and regulating this dangerous and prolific environmental pollutant across boundaries, jurisdictions, and constituencies constitute a vital testing ground for the examination of how environmental knowledge and policy travel in tandem over time and across boundaries; it also comprises one of the most critical chapters of a larger history of the hazardous chemicals regime—a series of independent but functionally related treaties and programs—that emerged after World War II to address the proliferation of new chemicals and pollutants introduced into the environment. In the decades after World War II, mercury was identified as a pollutant deriving from fungicides, mildew-resistant paint, run-off from gold mining, coal-fired power plant emissions, and the construction of hydroelectric reservoirs. Devastating mercury “epidemics” struck local populations in Japan, Guatemala, Ghana, Pakistan, Iraq, and Canada; high concentrations of mercury were discovered in water systems throughout the developed world, most notably in Sweden, Canada, and the United States; and as mercury became universally recognized as a toxic hazard, its disposal posed myriad new problems. In a focused study of this problem, I propose to examine the development of environmental toxicology in light of growing international concerns over mercury pollution after World War II, and put the budding scientific field in conversation with the policies that urgently sought to control mercury’s dangers. I’d also like to think that I stay true to my environmental history roots with this project: In exploring a single pollutant and the scientific and regulatory efforts to control that pollutant, I see my project as contributing to a world environmental history from mercury’s point of view. JC: What got you interested in mercury? ME: Even though I was trained in environmental history, I’ve been a lurker in history of science and STS circles. As a graduate student, I was fascinated with the various social nuances that manifested themselves in the production and consumption of scientific knowledge, especially as they pertained to the environment. I’ve long felt that most environmental knowledge is the product of what the conservation biologist Michael Soulé famously called “crisis disciplines,” where decision making has to happen before scientific consensus is reached. This raises a series of important questions about what kinds of decisions are made and by whom. On the one hand, scientific knowledge constitutes an essential form of expertise in environmental policymaking, but when the luxury of certainty isn’t available, how do decisions get made? Uncertainty, agnotology, and expertise are fantastic avenues of inquiry in STS and the history of science, and I think there are some fruitful opportunities here for environmental historians, too. As a vehicle for these kinds of explorations, the mercury project began in earnest in 2004; I spent a year on a postdoctoral fellowship in Philadelphia at the Chemical Heritage Foundation, which was a terrific place to examine the scientific and political history of an element. JC: Does this current project build on your earlier publications? ME: I think there’s a fair amount of continuity. In general, my work examines how scientific knowledges and political knowledges interact and how they constitute each other. Insofar as the mercury project is opening new research directions (for me) into the relationship between science and governance, especially in the global arena, it also pursues a number of themes that drove my previous work. It follows scientists in the public arena and concerns about environmental and human health. In my first book, Barry Commoner and the Science of Survival: The Remaking of American Environmentalism (MIT, 2007), I examined the social and scientific career of the biologist Barry Commoner and his influence in redirecting the priorities of American environmentalism. Central to that work is the public and scientific debate over environmental risk, and the importance of translating and communicating technical scientific information for a lay audience. During the 1960s, Commoner also spent considerable energy making mercury pollution issues an environmental priority in the United States. My initial inspiration for a research project on mercury in the global environment came from my immersion in Commoner’s work on the subject. JC: What contribution do you hope to make the wider field with this project? ME: This project aims to put the disparate fields of world history, policy history, environmental history, and the history of science in concert. In transcending national boundaries, mercury pollution brought together scientific communities and governing bodies that demand the input of a number of different historical subfields. In its praxis, then, this project challenges historians to move beyond the parameters of human, state, or intellectual history to think about how concentration on a non-human agent can alter our perspective on human discourses and the human condition. But an analysis of mercury pollution and regulation also makes a number of contributions outside the academy. As mercury continues to influence fish consumption and pollute air and water systems, mercury pollution remains a hotly debated issue in various countries and world governing organizations like the United Nations and World Health Organization, the legislative effects of which will undoubtedly have a profound impact on future decisions regarding energy production, petrochemical manufacturing, and food consumption. A more nuanced reading of mercury’s place in recent history could provide a valuable guide in national and international decision-making processes.